We have a wide range of Fixed Pool Lifts/Hoists to suit every type of budget from the state of the art Pool Pod to the more affordable EZ Pool Lift range. Each product offers great design and can be easily installed to provide a permanent access solution for your swimming pool. Firstly, a lift and a hoist are the same thing, both words are used to describe the device. A Fixed Pool Lift provides a permanent access solution which, in some cases, can be removed from the pool side and stored away in another location. A Fixed Pool Lift can be specified for inground, deck level, if the swimming pool has a wall, is above ground or has a raised edge. 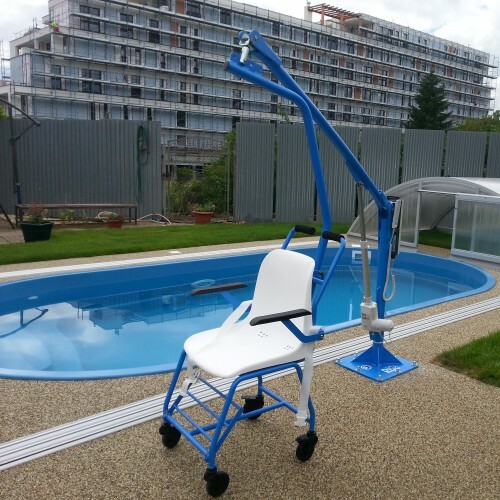 Most of our Fixed Pool Lifts have a battery assisted lift and lower function but we also offer a manually operated product (Manual EZ Pool Lift) as an affordable option. Some of our Fixed Pool Lifts come with waterproof controls giving the person complete autonomy in getting in and out of the water. Our swimming pool lift experts can help advise you on the right access product for your private pool or hot tub, commercial swimming pool, hotel or spa. All our lifts & hoists comply with DDA regulations and are CE Mark to indicate that they conform with relevant EU directives regarding health and safety. 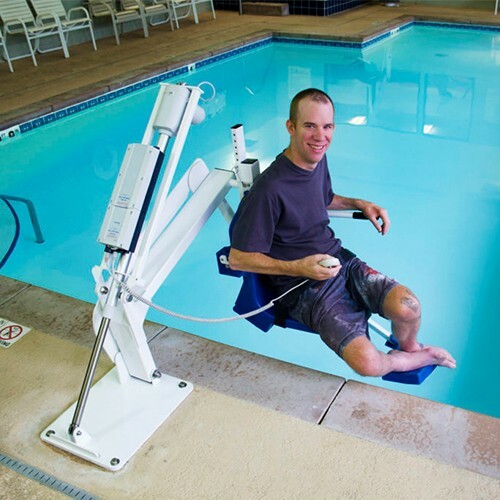 The Pool Lift Company range of fixed pool lifts offer ultimate comfort and have been designed to meet the ergonomic requirements of people that have disabilities or limited movement or balance.